Boston Legal Malpractice Lawyer — Published by Boston, Massachusetts Legal Malpractice Attorney — Keith L. Miller, Esq. This is the Boston Legal Malpractice Lawyer Blog published by Boston, Massachusetts trial attorney Keith L. Miller. The Blog will present and discuss issues pertaining to the practice area of legal negligence and professional ethics. Lawyers make mistakes and sometimes those mistakes cause their clients to suffer money damages. 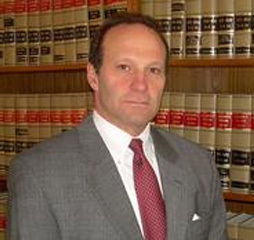 Attorney Miller has been representing victims of legal malpractice for over 20 years. He has a proven record of success, including many six and seven figure client recoveries after jury trial or negotiated settlement. In a recent legal malpractice case involving the accidental death of a child, he helped a family obtain a 1.8 million dollar recovery paid by the insurers of 3 different attorneys. Attorney Keith L. Miller represented the Plaintiffs, Edmund and Roberta Mansor (“Mansors”), in a case filed against Defendant, JPMorgan Chase Bank, N.A. (“Chase”) in the U.S. District Court for the District of Massachusetts. Miller and co-counsel negotiated a settlement of this action that will provide $4.625 million in monetary relief to fewer than two hundred investors who purchased or otherwise acquired CDs from the promoters of the Millennium Ponzi scheme, during the five months between September 25, 2008 and March 9, 2009. This settlement marks the end of more than five years of hard-fought litigation, and has provided significant relief to the members of the settlement class. The Massachusetts Supreme Judicial Court has reversed a lower court ruling granting summary judgment to a law firm, saying the firm had failed to use all measures to combat an erroneous ruling by a French court. The firm, Dechart, had represented a seafood company, whose fishing boat was severely damaged, while undergoing repairs in Tahiti, which is a French protectorate. The French court had given the company an opportunity to submit additional evidence of its losses incurred, but the law firm failed to make the additional submissions, information which it had in its possession. The South Carolina Supreme Court adopted a new rule regarding the running of the statute of limitations in legal malpractice claims. In Stokes-Craven Holding Corp. v. Robinson, Op. No. 27572 (S.C. Sup. Ct. May 25, 2016), Plaintiff brought a legal malpractice claim against Attorney Scott L. Robinson, a partner at Johnson, MacKenzie and Robinson, LLC, related to an unsuccessful automobile fraud case. The malpractice claim had been filed four (4) months after a final appeal came down. The trial court granted summary judgment to the defendant attorneys because the filing was outside the three-year statute of limitations.